Hi guys! Let me start by wishing you a happy Easter holiday. May you all be safe and with your beloved person and families. As some of you might already know or guess…. today’s post is about that occasion. By entering spring and especially the month April the big Easter egg madness starts. Most of us go to church and dinner at the parent’s house. That is why it is always beneficial to dress up a little, just do not overdo it. And here comes my secret weapon: Burberry Trench-coat. There are not many fashion pieces, which can automatically elevate your style to the next level. 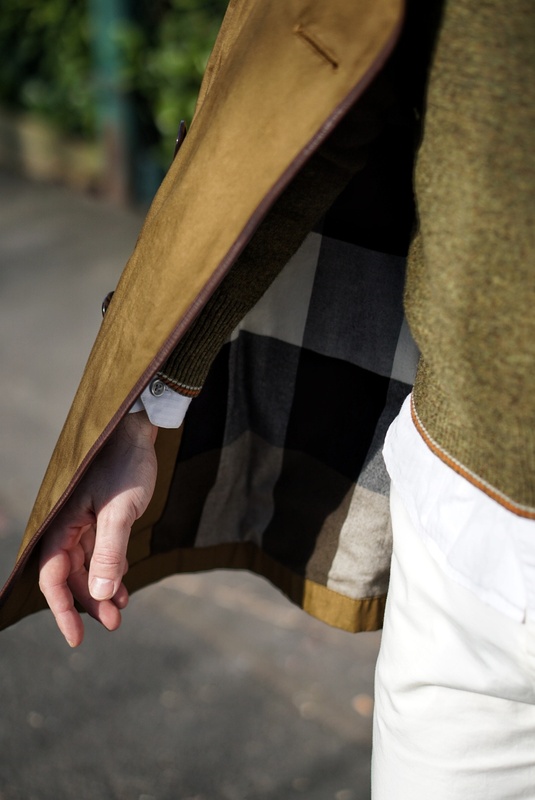 But when you hear the name Burberry two things come in mind instantly: outerwear and scarfs. 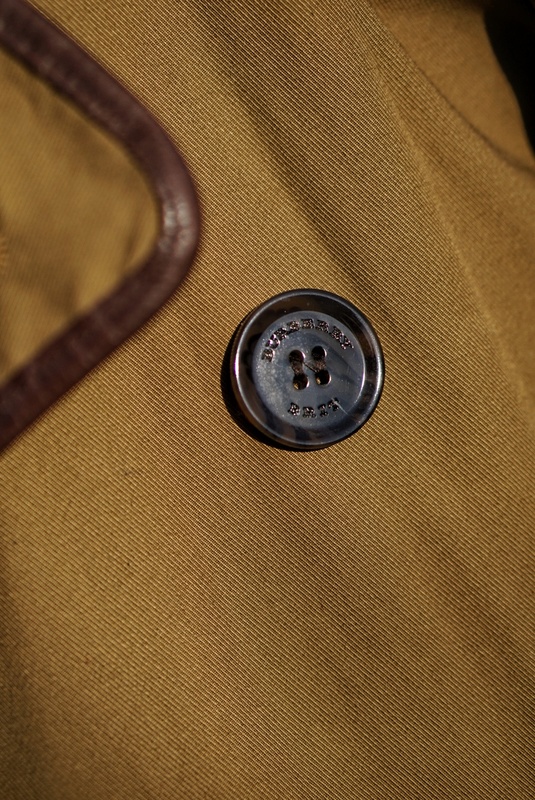 The trench-coat from the label has nowadays become it’s statement piece with an iconic status. So the best ways to dress up is: just throw that beautiful artwork on your shoulders. Even if wearing a sweatshirt or something more casual, a trench will always transform the look, turning it in a runways ready one. Here i have opted for a really sophisticated look, which can easily take me trough the family brunch or dinner and the church service after that. 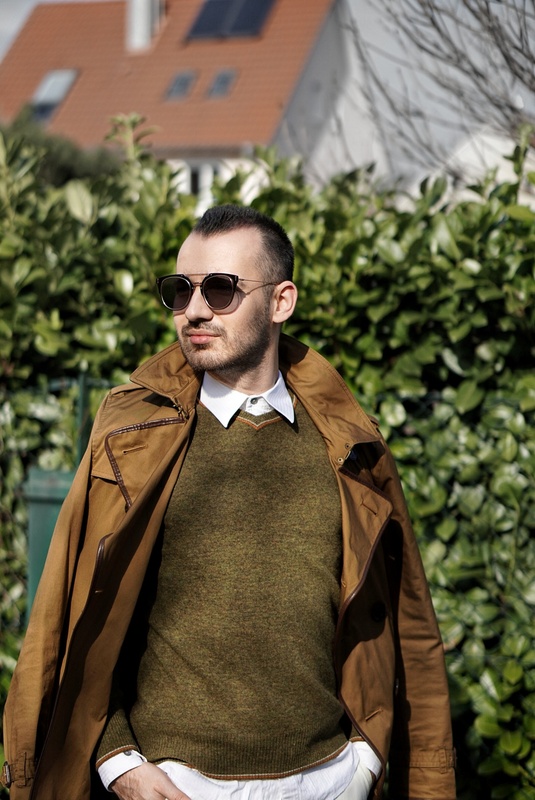 The green wool jumper is one from Acne studios. The slim orange stripes on the neck and hem give it a more modern vibe and combine two of my favorite seasons in one: spring and fall. The white fitted chino pants make the look a little casual, but without loosing that sophistication i was going for. 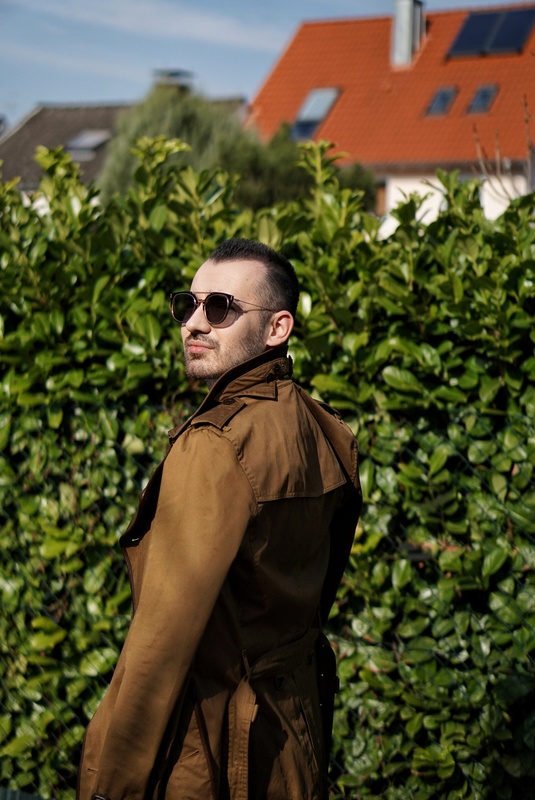 You can find them almost everywhere… mine are from H&M David Beckham collection. 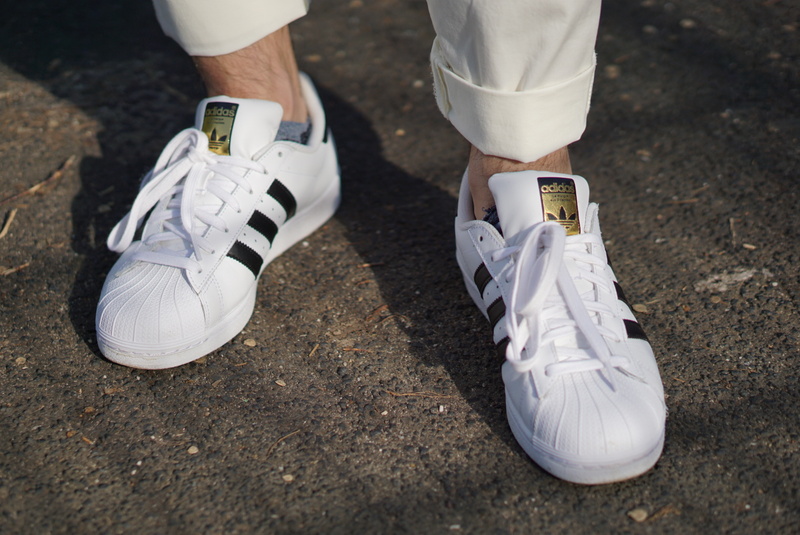 The white Adidas superstars are just a classic. 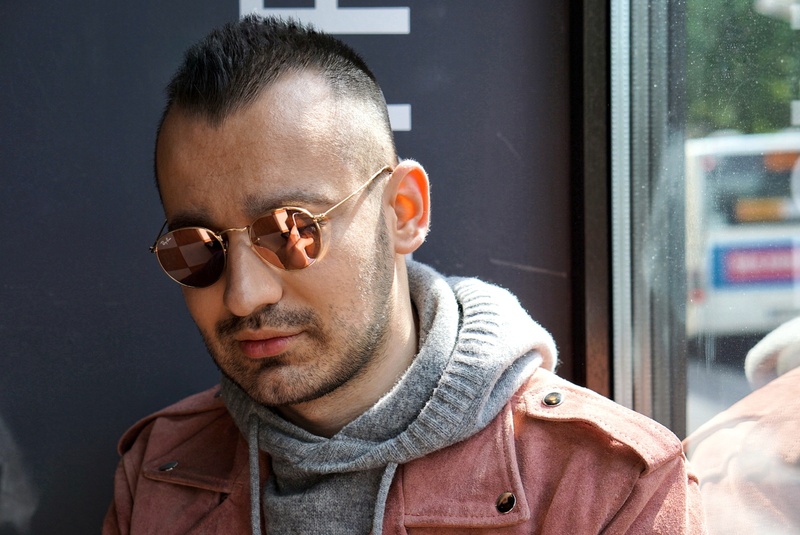 Every blogger and person in fashion wears them, regardless if it is cold or warm outside. 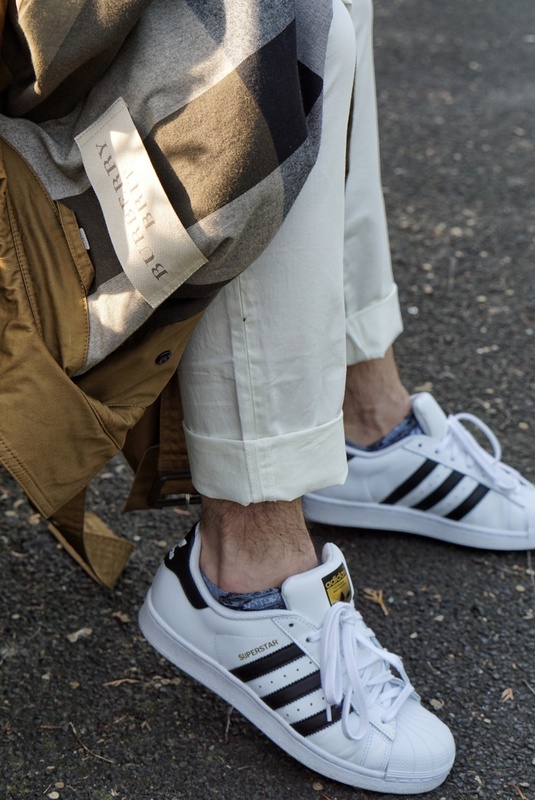 This may be the sneaker which is the most modern and suitable for every look. A plane white Shirt under the jumper is never a wrong choice. If you want a bit more summery look… just leave the jumper at home and go in all crispy clean white. Whoever thought that a guy cannot pull the all white look… well you are wrong. And finally our main piece. 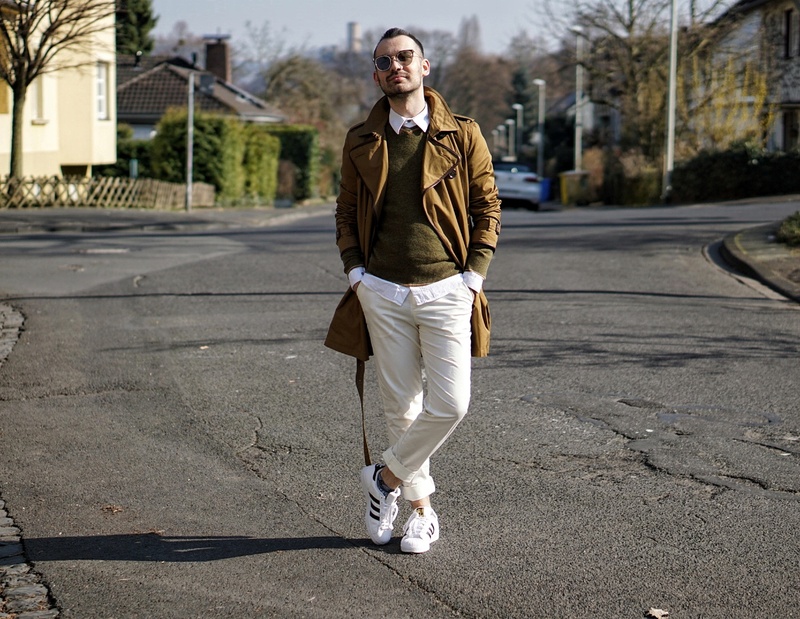 That khaki Trench i bought in a boutique in Cologne. It actually did not take me long to make up my mind. I saw it, i tried it, i fell in love. Now i know that Burberry is really expensive brand, but there are also much more affordable pieces on the High Street. So guys…. a trench is just a MUST.